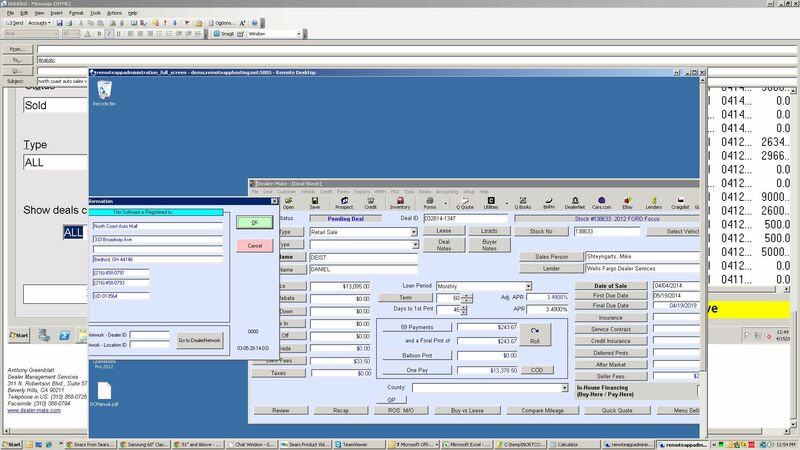 Dealer-Mate can convert your Data from any existing Dealer Software! Open your Dealer-Mate and find all your records from your existing software appear in the Inventory. Sales, BHPH, Reports sections.ALL fields are transferred over. All data matches your old software. No manual typing of hundreds or thousands of important data records. We have done hundreds of these conversions, including Tracker Suite and many others. Even old DOS versions databases can be converted without a single glitch!Imagine 1500+ BHPH active and closed accounts or 10 years of sold deals data sitting in your old software that has little or no support from the software vendor. Why keep using an old outdated DMS or Software you bought and simply don’t like? It feels like a dead-end does not it? !And you are dragging your feet to make the switch because of you afraid to re-enter all this manually or keep running and entering the same data into 2 programs.If this story sounds familiar, you don’t have to wait and procrastinate any longer! Call 1-800-233-5279 and let our conversion experts make this happen.